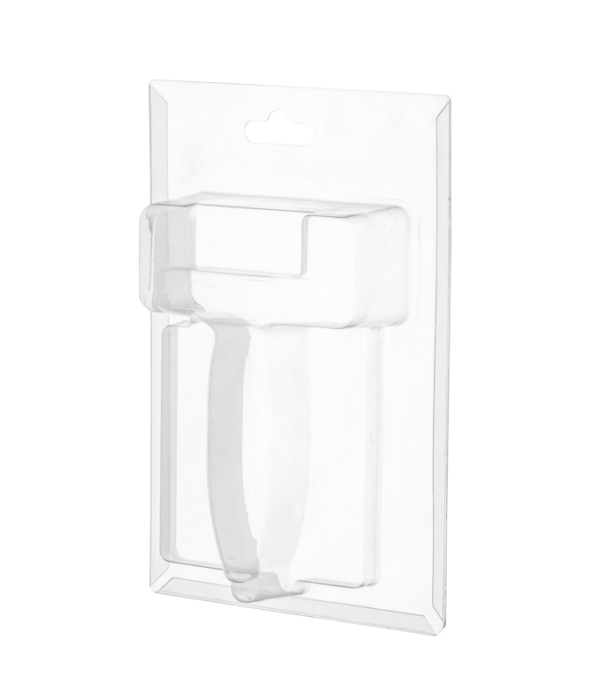 The sliding blister packaging is a visual packaging for fast, uncomplicated handling. The blister card can be inserted into the folded edges of the blister cover, and that’s it. Depending on requirements and design, the blister can also be stapled, glued by label or inserted. Sliding blisters are plastic packaging, usually made of transparent plastic films, which are thermoformed and folded over at the edges. Either a cardboard or a plastic card can then be inserted into this fold. 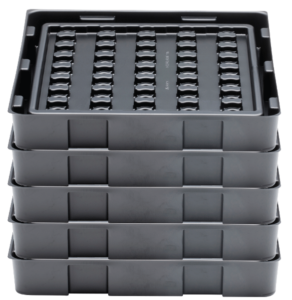 A distinction is made between welded packaging (sealed blisters), clamp packaging (sliding blisters) and hinged packaging (hinged blisters). In addition to sliding blister packaging, our portfolio also includes other types of thermoformed articles, which we manufacture according to your individual requirements. These include ESD trays and plastic trays, plastic inlays and various other workpiece carriers. We help you to solve your packaging problem.